Born in the northern Vietnamese province of Thai Binh, Tra Thi Tuan Anh was raised by parents who instilled in her and her younger brothers the importance of reading from a very young age. “Though my parents had modest salaries, they often set aside a fixed sum to buy books for us,” she said. Her father, a high school teacher, also often told her and her three younger brother folk stories with moral lessons. He also devoted a lot of time teaching her and her siblings practical life skills which would serve them well later in life, like sewing, fixing bicycles, and catching fish. 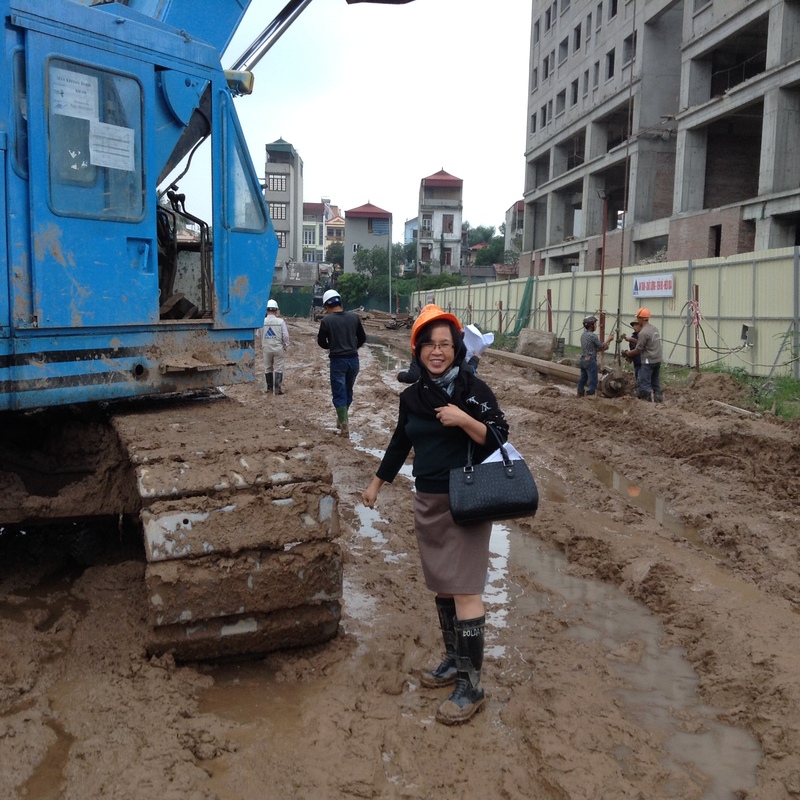 Ms. Anh at a construction site. 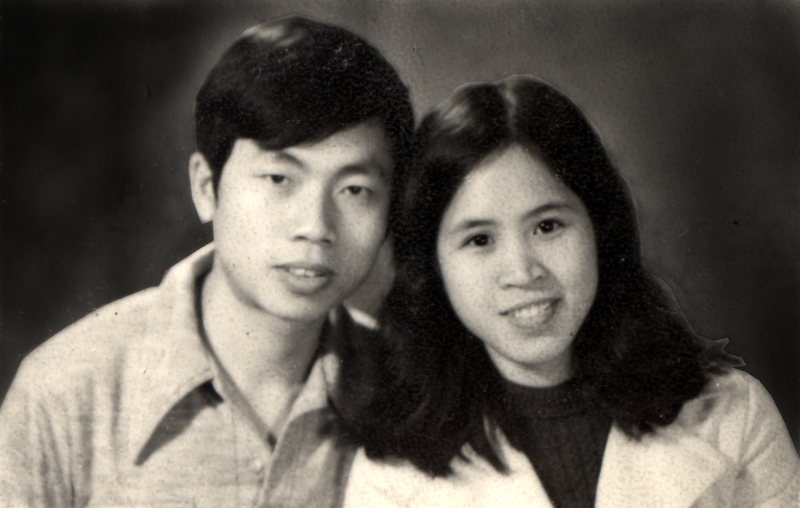 In her sophomore year, Tuan Anh met and fell in love with Nguyen Van Doan, another architecture student. She ended up marrying him 15 years later. 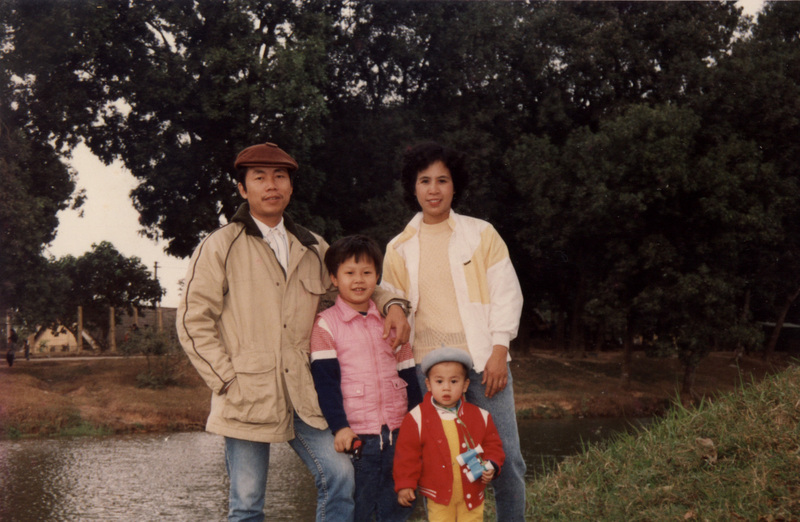 During her junior and senior years, she worked as a teaching assistant, helping professors translate Russian materials into Vietnamese, compiling books as well as working on various architecture projects. Ms. Anh with her family. After graduation, Tuan Anh and Doan began work as lecturers at the university and established Architectural Consultants Ltd, Co., a consulting company that provides architectural services under the supervision of the university, the first of its kind in the country. 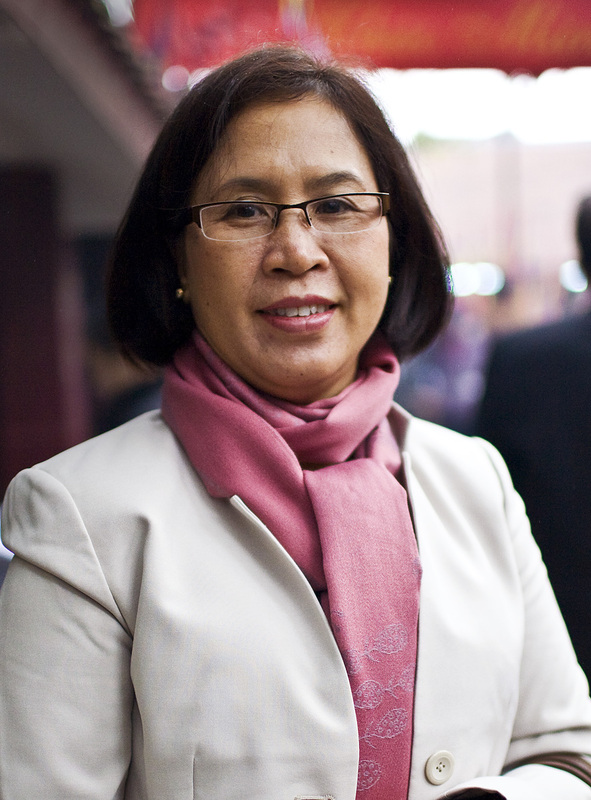 “Our first project was the Cultural House in Thuong Tin District, which still exists today,” she says. “The locality at that time paid us in kind, by giving us pigs. I can’t remember exactly how many pigs we got for that project but food was so scarce at that time. We killed the pigs and divided the meat. That has to be one of the most unforgettable moments of my career.” In 1987, the company constructed a seven-story building at Ly Thai To Street in Hanoi using machine hammers to install concrete pillars. The site drew many visitors as the technology was new to the country, a fact that Tuan Anh and her colleagues were proud of. She has remained a lecturer at the university for the past 40 years. Tuan Anh has found that managing a consulting company greatly complemented her teaching as it offered her a chance to teach theory and actually see it realized through the implementation of projects. The company also provides an internship program, which gives students an opportunity to work closely with established professionals in the field. Ms. Anh and her husband Doan before their wedding.